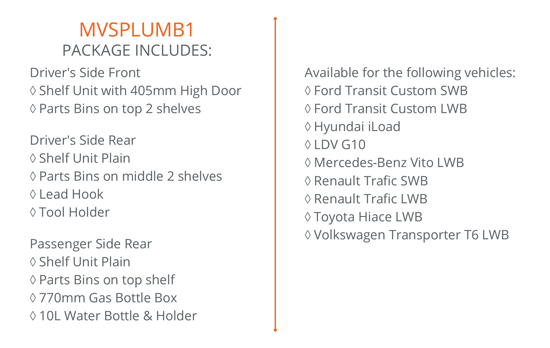 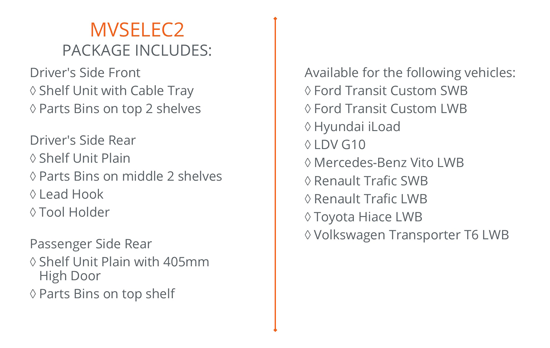 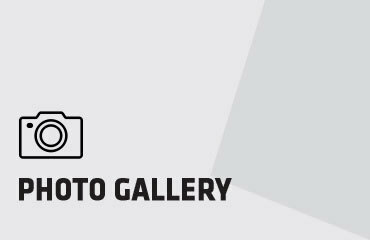 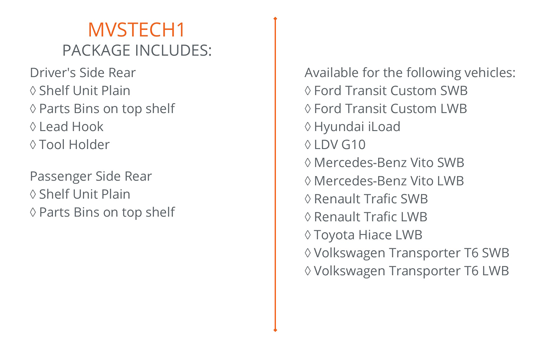 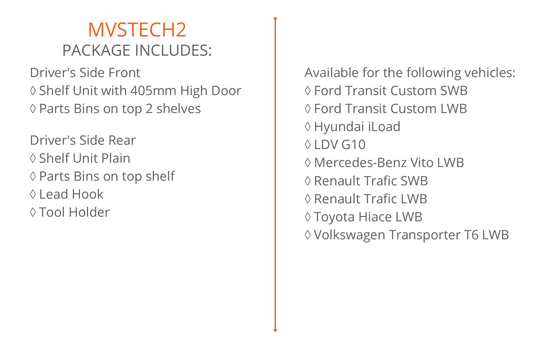 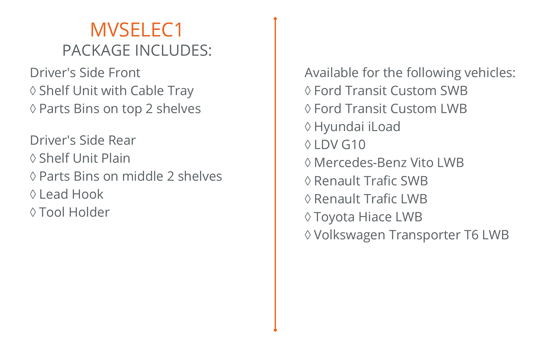 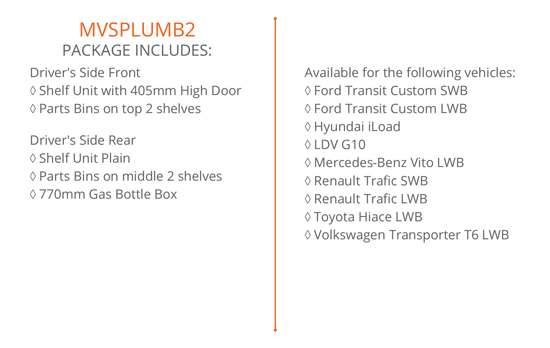 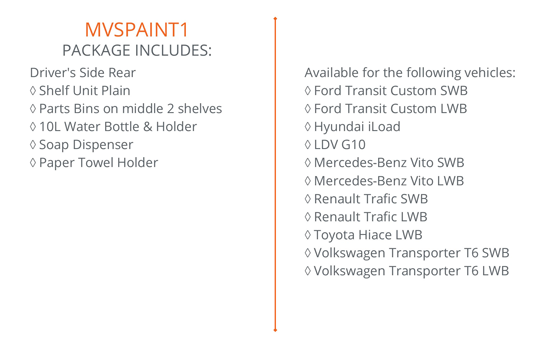 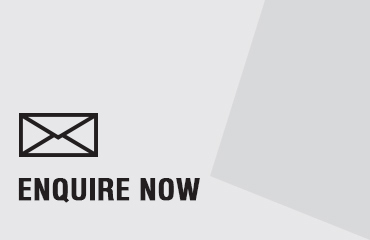 You can select a van fitout from one of our standard packages below or if you need something different simply create your own commercial fitout from our range of van shelving and accessories. 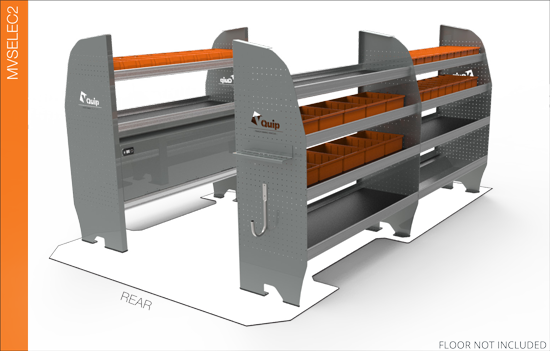 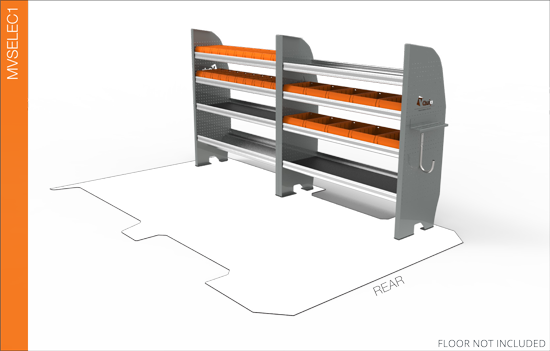 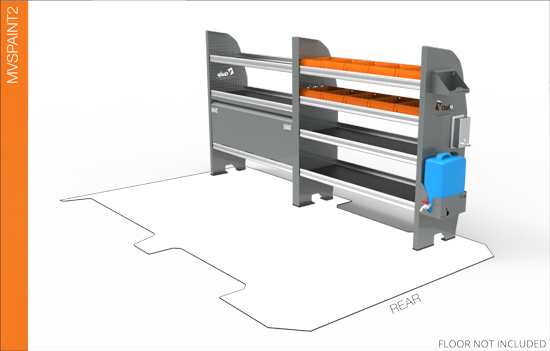 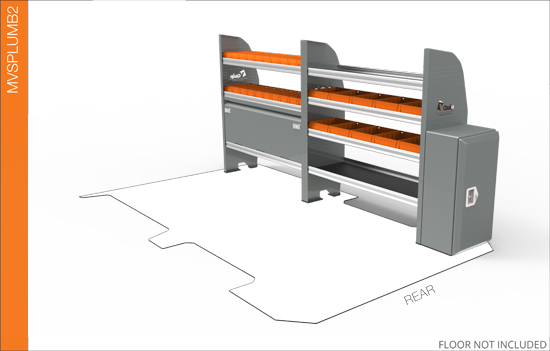 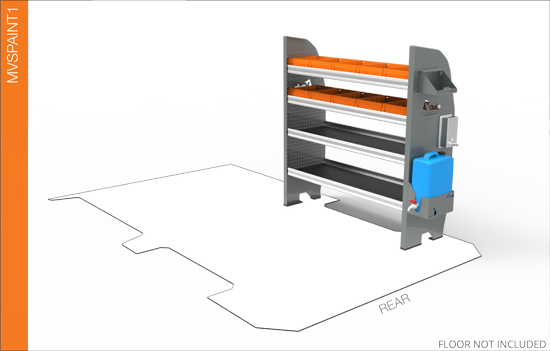 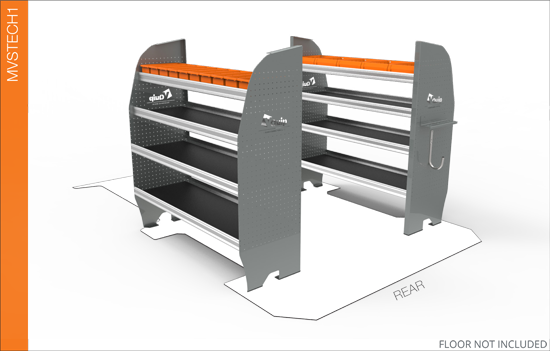 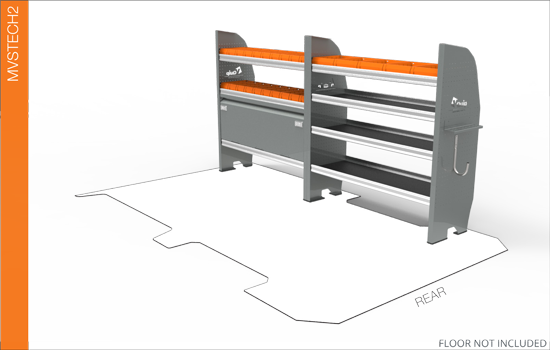 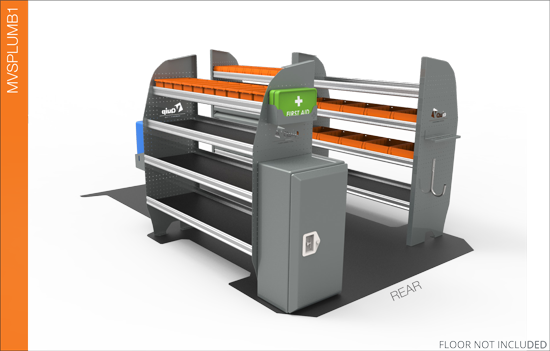 We can work with you to create a commercial van fitout unique to your specific needs based on your needs and incorporating our vehicle shelving systems. 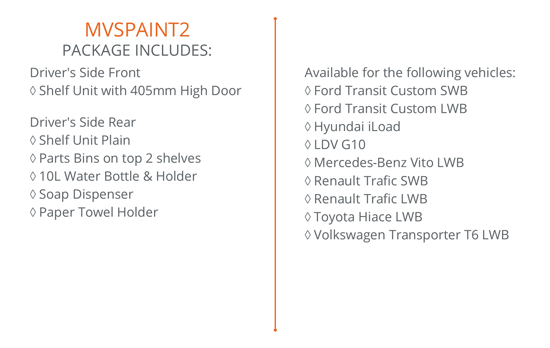 Just tell us your van fitout ideas.